2018 is shaping up to be a fantastic year for new crime fiction, and my Buzzworthy Books series is here profile the upcoming releases that deserve to be on your reading list! My first Buzzworthy Books pick can be found here; for my second pick, I’ve chosen THE WOMAN IN THE WINDOW by A.J. Finn - a masterful, immersive psychological suspense novel that will recall Hitchcock and Rear Window for its readers. At first glance, the plot of THE WOMAN IN THE WINDOW feels quite familiar: a reclusive woman spends her days observing her neighbors from the windows of her home - a hobby that seems harmless, until she sees something she shouldn’t. Back to the basics. I recently discussed this on Instagram, but I am feeling a decent amount of fatigue with the phenomenon of the “shocking plot twist” in psychological thrillers. Don’t get me wrong - plot twists are great, and they can add so much to a story; I love a shocking twist, as long as it's constructed well. Unfortunately, it seems to me that more and more psychological thrillers seem to hinge entirely on an over-the-top twist - and the credibility of that twist can sometimes be lacking. Perhaps even more importantly, I’ve become concerned that these twists are so ubiquitous now that some readers will simply write a psychological thriller off if they hear that it won't deliver a mind-blowing twist. I’m hoping that THE WOMAN IN THE WINDOW will show readers a different way to the same end result: an addictive, consistently engaging read. THE WOMAN IN THE WINDOW proves that a psychological thriller can be great even without that blow-you-away twist. 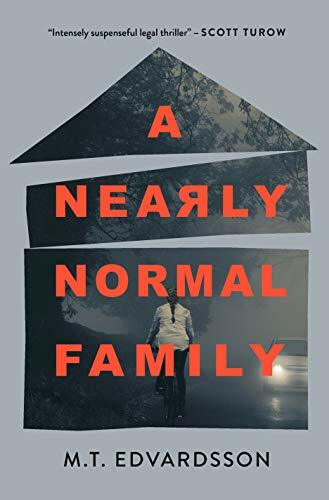 There are certainly reveals in this story, many of which thoroughly surprised me, but it’s not a thriller that hinges on a crazy twist, and I loved it for that. Superb writing. A.J. Finn is the pseudonym for someone who works in publishing as an editor, and the professional experience of this author absolutely shines through in his writing. THE WOMAN IN THE WINDOW is simply a pleasure to read - an unsettling, chilling, immersive pleasure. It’s masterfully-written, drawing the reader bit by bit into the unhinged and disoriented perspective of a woman suffering from agoraphobia. The reader isn’t just told about this main character’s unbalanced perspective, they are shown just how detached from reality her perspective really is. 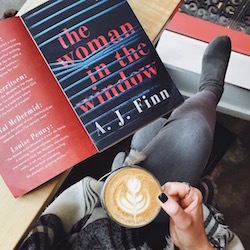 To me, writing is really fantastic when you stop noticing the writing itself and are simply swept up in its story, and THE WOMAN IN THE WINDOW is exactly that kind of read. Character-driven, layered psychological suspense. There is so much more to this book than first meets the eye, and I loved every moment spent unraveling its many engaging elements. This book might not be defined by shocking plot twists, but that doesn’t make it any less of an addictive suspense novel. 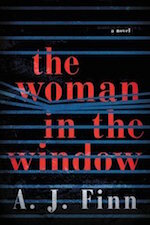 The real intrigue of THE WOMAN IN THE WINDOW comes in unveiling the many secrets the story’s main character has been keeping from those around her, and from herself. The beauty of reading a book that is not defined by shocking twists is that even if the reader pieces together some of the story's upcoming reveals (and I did), there is still so much more to love about the book. The story as a whole doesn't hinge on whether or not the author can successfully pull the wool over the readers' eyes, but rather on how engaged the reader is with its main character(s) and plot. Even though I predicted a couple of the ultimate revelations about the main character's experiences, I found the process of piecing together these experiences and puzzling through her psychology totally immersive and engaging. What do you think? Does THE WOMAN IN THE WINDOW sound up your alley? I’d love to hear from you! THE WOMAN IN THE WINDOW releases 1/2/18 from William Morrow.